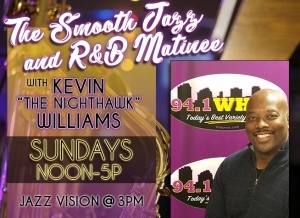 Join Kevin “The Night Hawk” Williams Sundays from 12p-5p in the 94.1 WHRP Smooth Jazz and R&B Matinee! 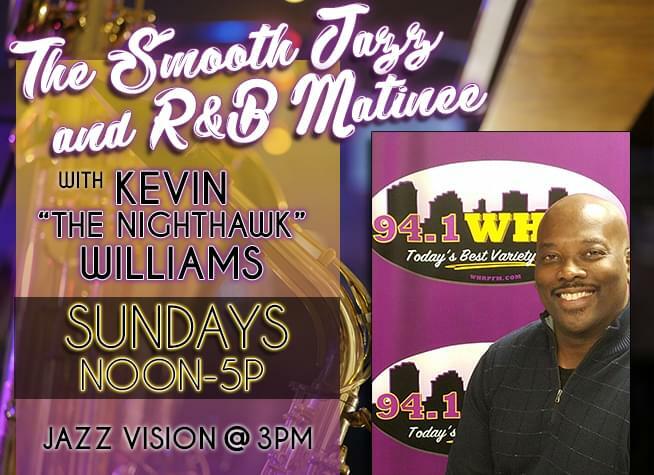 Enjoy Jazz and R&B favorites, plus special guests joining Kevin to discuss their music and careers, new releases and more! And your favorite vacation spot? What made you decide to work in radio? What would you do if you hadn’t decided to work in radio? What is your favorite artist or group? If you had to listen to one decade of music for the rest of your life, which would it be? If you had to pick 3 acts to put on your dream concert, which would they be? Everyone has a song that they refuse to admit to loving, do you have one? If so, what is it? You have the chance to play one artist from a different genre during your show, who do you pick? You’ve suddenly been given a recording contract to cut an album, who would you pick to produce it?